IDW has just revealed their GI Joe A Real American Hero #216 EC Cover Variant on their Facebook . It’s drawn by Andy Suriano and will be available in July. Read on to see a larger version! › Companies: IDW › Characters: Shipwreck, Cobra B.A.T. Nice! A good throwback to the silver age. Ha! 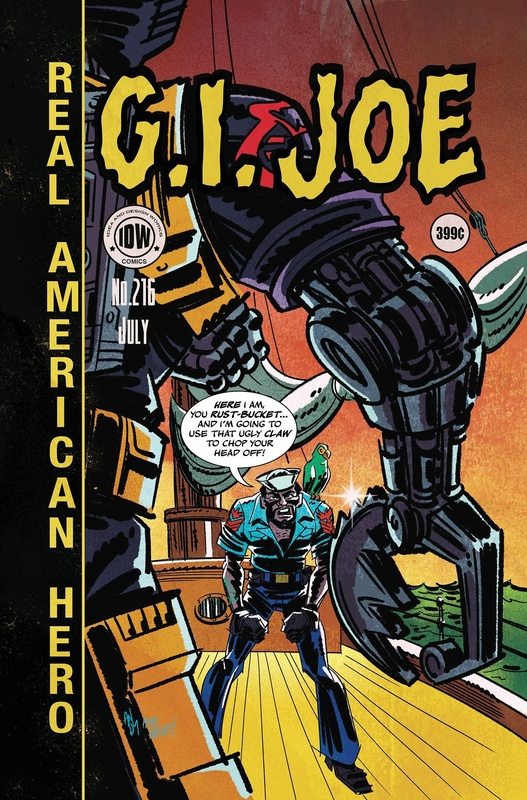 Love it- that's a cover that would get me to buy a Joe comic! I'll have to put it on my download list!